Cotton vs Poly Tees – You decide! 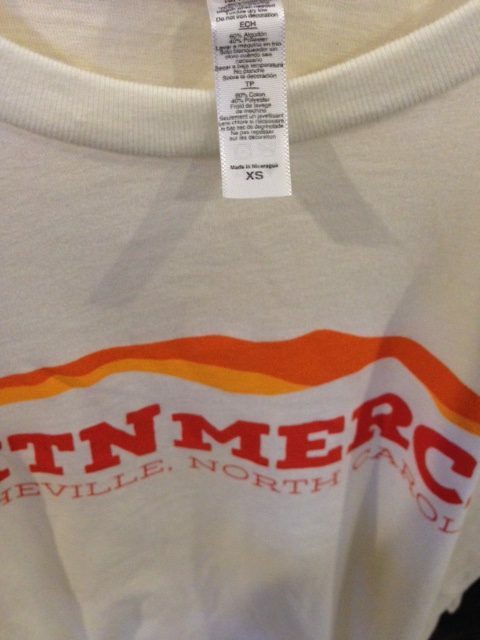 We offer both types of local Asheville t-shirts at Mtn Merch, so it really is up to you! There are a lot of different types of t-shirts and apparel available now. Cotton is no longer king. Here at Mtn Merch we offer both in our selection of local apparel. Greg is our resident expert on the subject and so we got him to share his information in order to help our customers decide for themselves. There are so many conversations these days (Especially with the growth of Under Armour) – what’s better…. cotton or polyester, and both have their advantages and disadvantages so here is generic info that can let you decide. The PROS: Poly is a much faster drying fabric. It repels water and will not hold it. It also holds dye much better and will fade very very little over time. It does not shrink. It is a stronger yarn and hold up over time longer. It’s also typically softer/silkier due to the petroleum used to manufacture it. The CONS: Poly can hold odor – almost every performance fabric is also treated with an antimicrobial solution that stops poly form holding odor, but that too will wash off after 30-50 washes because it’s a topical treatment. If you wore a non-treated 100% poly product (or one that the treatments have washed off over time) it will be like wearing a Coke Bottle and you will sweat more than usual and the fabric will not wick the moisture way. It will most likely smell too. The PROS: Its natural and because of that, it never has to be treated to keep odor away. It naturally is antimicrobial. It breathes. It can be made into all sorts of yarns for different uses and fabrications. Its raw price can vary greatly based on world usage, demand, climate, harvest and more. The CONS: Cotton will fade over time – it will not hold dye as well. It’s also a weaker yarn and because of that, 100% cotton products don’t tend to wear as well over time – meaning they wear out faster over time. Cotton also holds moisture so it can get heavier when it gets wet. The perception that cotton/poly blends are not as good as 100% cotton seem to be going away – especially with the technology and advancement of research…and while we offer many 100% cotton shirts here at Mtn Merch, we also have quite a variety of a cotton/poly blend. Come in and check out the difference! And state your position on the matter by purchasing your favorite type of local Asheville t-shirts! What Makes One T-Shirt Softer than Another? Greg has answered this question hundreds of times over the years, so I asked him to share some of his knowledge with you as a consumer. Actual knitting process itself and whether the yarn is spun on Ringspun machinery or Open End Machinery at the manufacture has a large impact on softness of your favorite tee shirt. The Open End process is less expensive and uses a “back and forth” technique that is very efficient. The Ringspun process is more time consuming and uses a technique that spins in loops and allows the yarn to be more “lofty;” it spins the yarn on better machinery, making it much softer to the hand. Size of the yarn – most people believe the heavier the shirt, the better quality it is, and in most cases this is false. 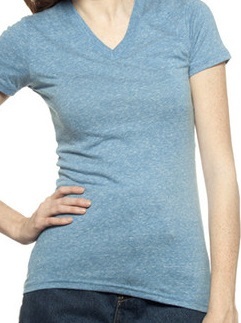 T-shirts are like sheets, the higher the yarn count [stitches per inch] the better the fabric. A less expensive shirt [like a freebie you may have received] uses a fatter yarn while a better shirts uses a thinner yarn; more stitches per inch, making the shirts lighter, but meaning the actual fabric, end product, is much better. These higher yarn counts using a finer, better yarn achieve a much softer, lighter fabric. 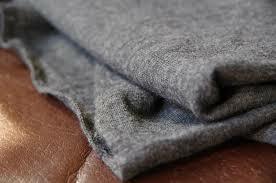 Fabric Content – believe it or not, blends tend to be softer because polyester is “silkier” than cotton. Cotton being a natural fiber has huge benefits (be on the look out for a future piece on this) but when you blend it with a lower percentage of Poly you create a shirt with properties taking the “best of both worlds.” The cotton still allows it to breathe and keep odors away. 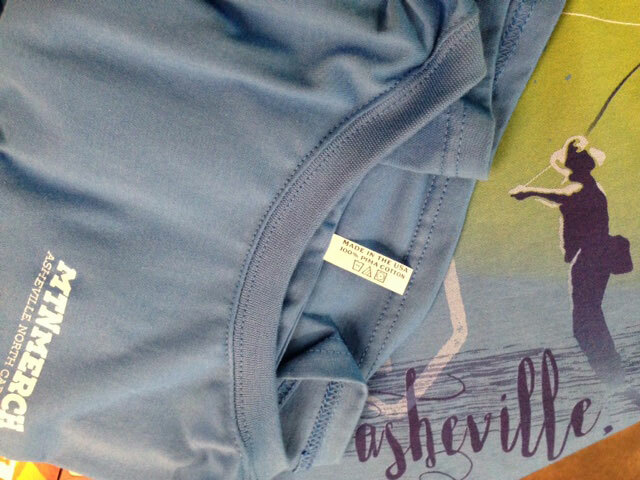 The poly adds softness, less shrinkage, less fading and better wear and tear over time. Hopefully this gives you a few answers on why your favorite tee shirt is so soft and what makes one t-shirt softer than another!